Auckland Council’s Planning Committee today agreed the refreshed Future Urban Land Supply Strategy sequencing 15,000 hectares of future urban land for development, enough to allow for around 137,000 homes. Also discussed was an update on the Smarter Road Pricing Project, progress made on resolving Unitary Plan appeals and adoption of Panuku Development Auckland’s High level Project Plan to Unlock Old Papatoetoe for urban revitalisation. The Future Urban Land Supply Strategy, which sets out the timings for when land in future urban areas is development-ready over the next 30 years, was refreshed following changes arising from the Auckland Unitary Plan with additional future urban land identified and other areas ‘live-zoned’ for immediate development. Planning Committee Chair, Councillor Chris Darby says the council is addressing land supply as a priority. “With the refreshed strategy and ninety-five percent of the Auckland Unitary Plan now in place we’re doing everything we can to make the necessary land available for more housing. “These plans ensure a long-term pipeline of land supply that allows for more than 400,000 new dwellings and 277,000 additional jobs over the next 30 years that meets the demands of unprecedented growth. “Of this around 137,000 homes and 70,000 jobs will come through the refreshed strategy, almost half of which is proposed to be development ready over the next 10 years. “We can now give developers and future home owners a higher level of certainty over the provision of land for housing and business development with necessary bulk infrastructure and, in turn, they can now starting putting our plans into action’, says Councillor Darby. Items 1-8 were administrative items with the exception of public input summarised below. Claudia Maran presented to the committee regarding improvement possibilities in areas lacking services to pedestrians, tourists and people traveling in and around Auckland. Peter Sinton, Chair and Craig Walker, Deputy Chair of the Kumeu-Huapai Residents and Ratepayers Association presented on structure plan and transport issues in the district. The committee received an update on the Smarter Transport Pricing Project, a key recommendation of the Auckland Transport Alignment Project (ATAP) and confirmed the Mayor and Deputy Mayor to lead the council’s role. The joint Government and Auckland Council project will thoroughly investigate the use of smarter transport pricing to reduce congestion on the road network and make recommendations on whether or not to introduce it for Auckland. Key project milestones will be regularly reported to the council’s Planning Committee with the first progress report due in November 2017. More information is available in the committee agenda including the Auckland Smarter Transport Pricing Project Terms of Reference here and a summary of the work programme available here. The refreshed Future Urban Land Supply Strategy was adopted following public consultation earlier this year. Around 15,000 hectares of land zoned for future urban development has been sequenced for development over the next 30 years with almost half of this land, 7,300 hectares, proposed to be development ready within the first decade (2018 – 2027). A significant amount of future urban land has been brought forward for earlier development, largely in the north, north-west and south. Some areas were put back largely due to infrastructure and funding constraints. A structure plan will precede the Unitary Plan re-zoning of these areas. The committee approved the Auckland Council’s Plans and Places Department statutory programme of work for the next three years. 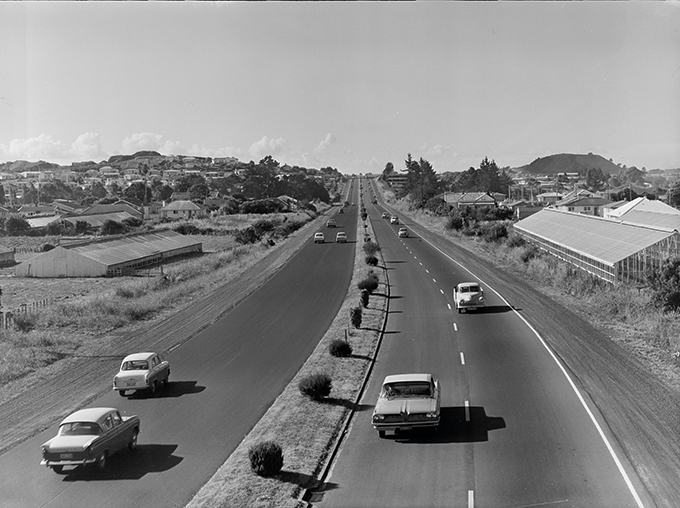 An ongoing review of the Unitary Plan –required by law within 10 years. Options for how to conduct the review will be considered at a later date. The committee were advised that Auckland Unitary Plan appeals are past the midway point for being resolved with a total of 60 resolved from the 108 appeals lodged with the Environment Court and High Court. The vast majority of Auckland Unitary Plan appeals are expected to be completed by the end of the year. More information is available on OurAuckland. The High Level Project Plan for Unlock Old Papatoetoe town centre was adopted. The Panuku objective is to initiate and ultimately achieve urban renewal and housing development within the area focussed on unlocking the potential of large areas of underused council land. The vast majority of Auckland Unitary Plan appeals are expected to be completed by the end of the year, with Auckland Council now past the midpoint in appeals resolved. A total of 60 appeals have been resolved to date, which is detailed in a report to Auckland Council’s Planning Committee available on the Auckland Council website. This is about half of the 108 appeals – 67 Environment Court and 41 High Court – that were lodged on the Proposed Auckland Unitary Plan. Councillor Chris Darby, Chair of the Planning Committee, says the milestone is a significant achievement given the Auckland Unitary Plan’s immense size and the large number and complexity of the appeals received. “As appeals are resolved, more of the Auckland Unitary Plan is put into place meaning we are better equipped to manage the city’s unprecedented growth of 45,000 more people every year. “Good progress also continues on some of the remaining larger appeals with court hearings already scheduled for later this year. “This leads the council to be confident that by the end of the year most of the appeals will be concluded,” Cr Darby says. Court hearings are scheduled for later this year regarding appeals on car parking requirements, outstanding natural landscapes, the future urban zone, and the Rural Urban Boundary at Puhinui and Okura. More details on the status of Auckland Unitary Plan appeals, including a breakdown of completed and on-going appeals, is available in the Planning Committee agenda on the council’s website. Excellent to see with the Unitary Plan appeal progress. Further information on the Future Urban Land Supply Strategy I will have in the next post.